Hey everyone! I can’t believe we’re already in the month of February. It’s insane how fast time swoosh by! Or is it just me! Anyways, in today’s post I just want to do a quick mention of the cruelty free products that doing a come back. While I’ve to admit that I’m not 100% clean or cruelty free but 2018 is a mark for me to put a conscious effort to make it happen with baby steps. So without further ado, let’s jump right in. Pixi by Petra is a cruelty free makeup brand that I’ve known since the beginning of my blogging days and here are products that keeps me going back. I’ve Pixi Beauty Bronzer in the shade Summertime and it’s the most beautiful color tan for my light-medium skin toned. I’m a matte kind of girl when it comes to bronzer, so this formula is just right up my alley. Today, however, the word “kabuki” is used to describe a variety of makeup brushes, whether they have squat or long handles, real or synthetic hair, or rounded or flat tops. The synthetic fiber brush wasn’t too dense nor to soft. It tapered on both sides for precise blending. It’s suitable for applying powder evenly over your face with thinly. You don’t have to splurge on some expensive Hakuhodo Brush USA if you don’t want to. For me, this one did an awesome job just like any kabuki brush. It’s my new favorite and I hope they’ll never stop making it! Moving on I got two Mesmerizing Mineral Palettes in the shade Mineral Contour and Copper Peach that I’ve been dying to share their color swatches for your guys. This is a new palette I picked up from Shoppers Drug Mart the other day to add to my ever growing Pixi Beauty collection. It features six earthy tones from frosty white to the darkest charcoal grey shades eyeshadow in complementing colors. Complete with a dual-ended sponge tip brush. All the shades are soft to the touch, it feels creamy and easy to blend. They’re also just a little powdery but I wouldn’t be overly concern about it. I noticed the pigmentation to be not very consistent especially the frosted white compares to the champagne beige. I’m not sure if I got a bad batch but here’s the color swatch up closed. I did a review a few years back when I was first introduced to Pixi Beauty. So, I’m not going to go into great length but instead I’ll have the link here if you like to read more about it. This palette contains peach, bronze and russet shades, which I really enjoy as I really only wear neutral eye looks most of the time. Of the two, this has to be my favorite palette. The dark bronze and copper shades are what I use for everyday wear. They super easy to apply and blend away. I love how my makeup stay fresh all day with these creamy formulas. I’ve got only good things to say about this product and the brand. If you haven’t tried any products from Pixi, I urge you to check out their website or head over to the nearest drugstore, because they got you covered! I hope this post will help you kick start your search. Let me know if you guys found this useful! Disclaimer: Post contains affiliate links for your convenient only. I don’t get any monetary compensation or perks from sharing these affiliate links. Products mentioned I’ve purchased with my own money & thoughts my own. what a great review! I did not even know they made make up! I have used some of their skin care line and I’m loving it! The Copper Peach Palette is really pretty! Beautiful colors! I’ll have to share this with my cousin and my friend. They’re always on the hunt for new cruelty free makeup! Thank you for sharing! I love the Pixi makeup line! Also love that they are cruelty free! Love the copper palette! I too want to switch over to all cruelty free makeup. Thanks for the heads up on a great brand! This is interesting. To be honest, I haven’t heard this brand yet. But then again I’m not a make up junkie. I love that it’s a cruelty free product and for that I’m definitely going to give it a try. Thank you for sharing. I love Pixi beauty! They have a lot of really nice products and it is awesome that they are cruelty free. Love the colors. I usually only wear earth tones which is what these seem to be. Cruelty-free is a plus too. I love makeup nowadays and I love cruelty free ones. I’d definitely try this out. The pixi mascara is one of my favorites. I also love their highlight and eyeshadows! I have heard a lot about this brand, but since I don’t use makeup often, I have not purchased it yet. I will ask my daughter about Pixi. I know she may have their products because she is always in the hunt for new products to try. I love the colors! I prefer natural and earth tones for eyeshadow palettes. I believe I had bought Pixi beauty before. I will have to check these ones you featured in this post. I like that their products are cruelty free! Great review! I have heard really great things about pixi by Petra! I haven’t tried them myself, but I’d love to give this line a try. I am slowly changing out my beauty routine to be one that’s cruelty-free. This is going on the shopping list. Very extensive review and such pretty colors! I also love the fact that it is cruelty-free. I’m always up for trying cruelty-free products. I’ve heard good thing about this brand, I have to try it out! Thanks for sharing. I’ve never heard of this brand before. I love that they come with their own brushes. Finding a great brush for your cosmetics can be so difficult. 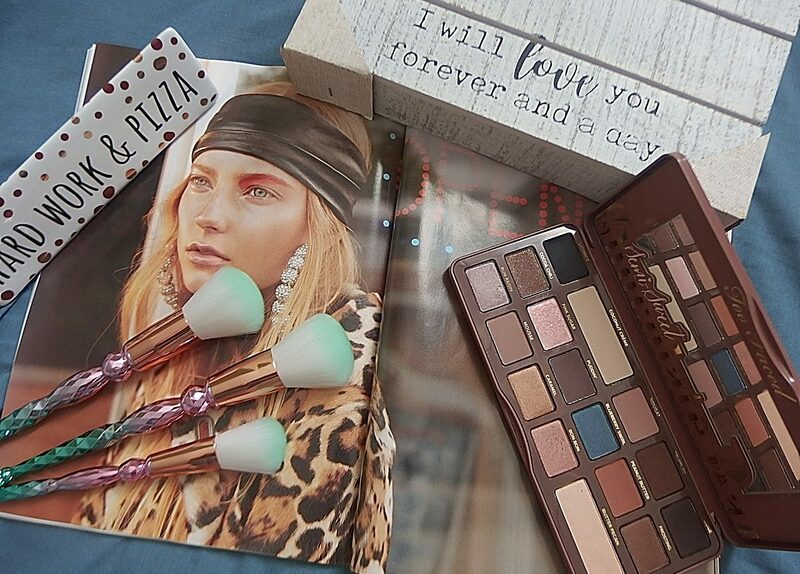 I love yur favorite palette. Those colors are fabulous and I believe would compliment my skin tone nicely. I’ve been hearing a lot of great reviews on the Pixi Beauty brand but haven’t had the pleasure of trying them myself. I would love to try their palette! I’ve always heard great things about Pixi. Definitely a brand I have been meaning to get around and try!!! Such fabulous shades!!! I am a huge fan of Pixi! Their skincare is pretty amazing too!